This is a very special storytime! You know we love dogs & we love books. Did you know there are great benefits to reading with a dog? 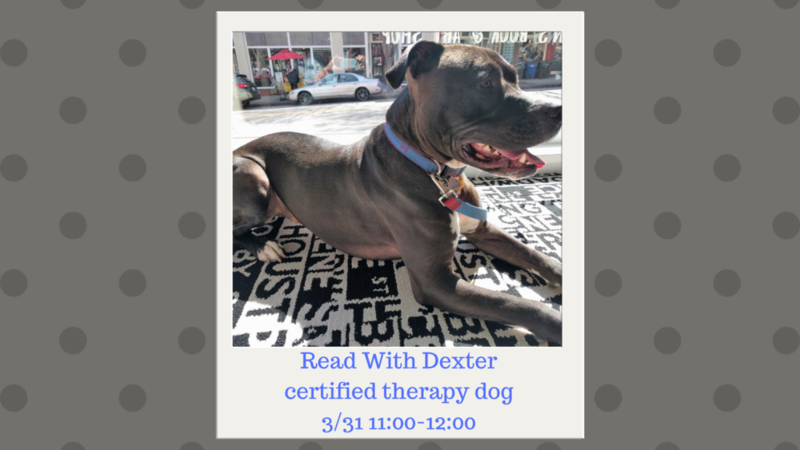 We will be inviting certified therapy dogs into our shop for upcoming storytimes. Join us for all-ages storytime! Every Saturday at 11:00am, we will read stories together followed by an arts and crafts activity based on the books. Groups welcome!